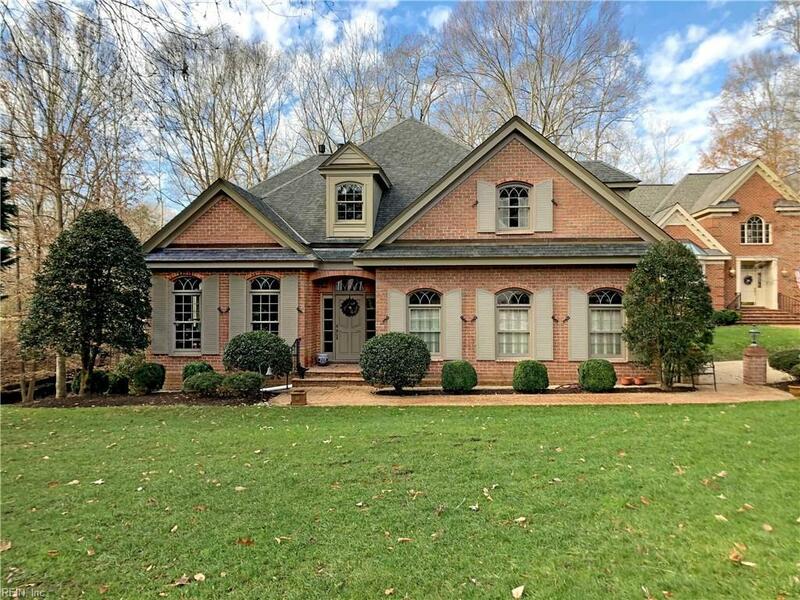 4 Wildwood Ln, Williamsburg, VA 23185 (#10234812) :: Abbitt Realty Co. Welcome to Port Anne,sought after neighborhood w/in walking distance of CW,DOG Street,restaurants,shopping&the Farmers Market. 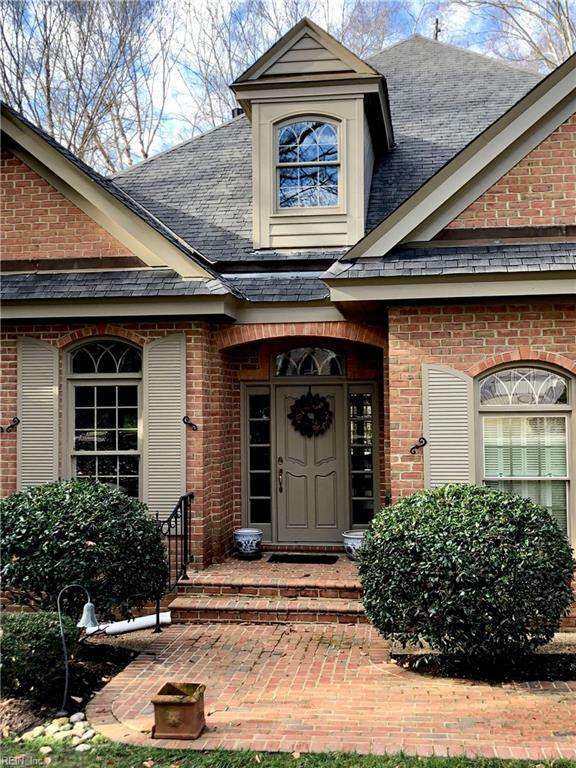 Enter the foyer,you are welcomed w/high 10' ceilings, gleaming HW floors&extensive millwork. The spacious formal LR is filled w/natural light&has beautiful gas fireplace. 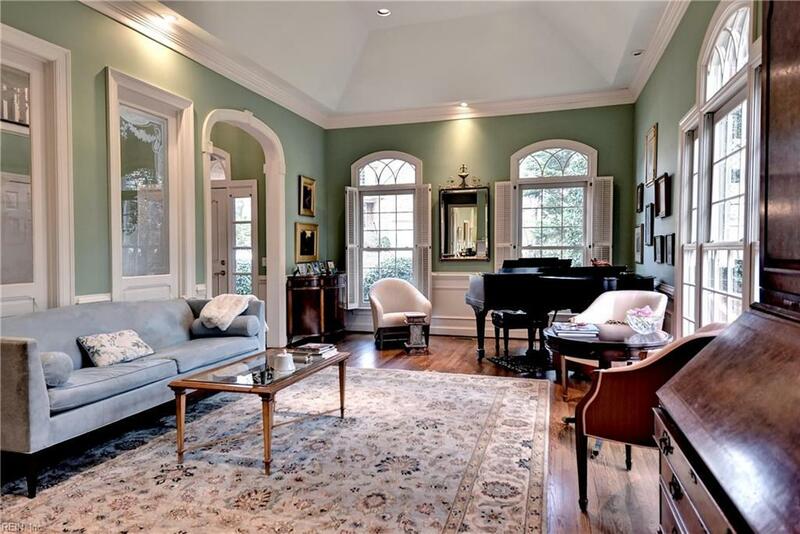 The elegant DR also has a fireplace&a crystal chandelier. The kitchen has quartz counters,large island,double ovens&gas cooking. Off the kitchen is a Keeping Room w/builtins. The master BR has a sitting area w/access to deck overlooking private backyard. Theres his&her bathroom&2 walkin closets. The lower level is multifunctional. There are 2 ensuite BR,an office w/builtins&space perfect for exercise eqpt. Could also serve as an inlaw suite. Theres also a lovely library w/builtins,storage&half bath. This property also includes the lot on 2 Wildwood. This could be a building lot,or kept to ensure privacy. Port Anne also features a pool,tennis,clubhouse&guest quarters. Home also has an elevator!